1) How much does a drug test cost? It’s best to give us a call so we can find out exactly what your needs are and provide you with an accurate quote. 2) How long does it take to conduct a hair drug test and produce results? Most labs take around 2 weeks to conduct the hair drug testing process. At Cansford Labs, we can test the sample and provide a report within 5 days of the initial hair sample being collected, as it takes less then 3 days for the results to be ready once the sample arrives in the lab. 3) The donor has very short hair, only 1-2cm long. Is it still possible to do a hair drug test? Hair tends tends to grow at 1cm per month, with each centimetre reflecting 1 month’s drug use (or non-use). Where a donor has hair that is 2cm long, it’s still possible to do a hair drug test, but this will only show drug use over the previous 2 months. 4) If a donor has no hair on their head, does that mean you can’t do a hair drug test? Not necessarily. If the donor has no hair on their head, hair can be sourced from other areas of the body i.e. chest hair, underarm hair or pubic hair. However, this may affect the timeframe of detection of drug use. 5) If a donor shaves all the hair from their body, head to toe, how will the drug test proceed? Where a donor shaves their entire body hair and a hair strand test is not possible, a fingernail or toenail test may be conducted. Fingernail and toenail testing is able to detect drug use dating back 3-6 months. In many cases, this is able to match the window of detection of hair strand testing. 6) How can you make sure the results of a drug test will hold up in court? If you intend to use the results of a drug test in court, you must obtain the court’s permission to conduct the test and submit the results as evidence in court. You should ensure the lab conducting the drug test is ISO/IEC 17025 accredited, otherwise the validity of the test and results may be called into question. 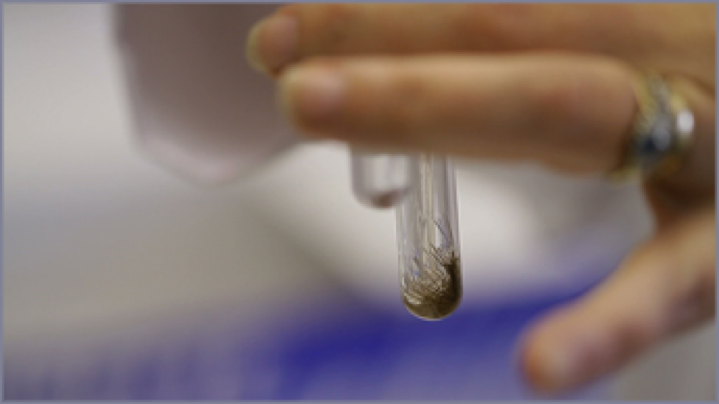 Accredited labs are more likely to ensure the chain of custody (documentation of the collection, handling and analysis of the sample) remains uncompromised. You can learn more about laboratory accreditation here. For information on the accreditation of Cansford Laboratories, check out this link. 7) If a donor is on medication, does this affect the results of a drug test? Labs will need to know prior to testing whether or not the donor is taking any medication and what the specific type of medication is. The interpretation of the results may become skewed if prescription drugs like codeine are found in the donor’s system and there is no legitimate reason why. 8) How far back can a drug test assess drug use? 9) What is a cut-off and how is it used in drug testing? A cut-off is a value which the results obtained in the drug test are compared against. When results are below the cut-off, they are considered as “Not Detected” or “Negative”. When results are above the cut-off, they are considered as “Detected” or “Positive”. Typically, there are two types of drug cut-offs; the analytical cut-off and the user cut-off. The analytical cut-off is based on the limit of the testing method/technique used to test the sample. So where a positive result gives a reading significantly above this limit, it can be confidently concluded there has been drug usage. The user cut-off indicates whether an individual has drugs in their system due to drug use within the period of time covered by the samples or whether positive results are not due to some form of environmental contamination. For example, an individual may not have directly smoked any cannabis but was in a car with people who were smoking cannabis. 10) Can the test prove categorically that this person has stopped taking drugs? In other words, is it accurate? For a heavy user who has stopped using a particular drug, they will still have traces of the drug in their body, typically 10-15% of the previous level. For example, it takes 3 to 4 months for all traces of the drug in newly growing hair to disappear. This is important for a court to know, as a parent who has stopped abusing drugs may be denied access to their child due to traces of past drug use being found in the hair. 11) Is it possible to cheat on a drug test? Urine tests are arguably the most conducive to tampering. A donor may attempt to switch the sample or get someone else to provide a sample. This is why photo ID should be provided by the donor at the time of sampling. Some people have also tried consuming excessive amounts of water as a way to ‘flush’ drugs out of the system. Although this may ‘dilute’ a urine sample, it will not cleanse the sample and remove all traces of a drug. Hair drug tests are harder to cheat, but that doesn’t mean people haven’t tried. One popular method is to bleach the hair. Although this method can remove a significant amount of drug metabolites in the hair, it doesn’t necessarily remove all the metabolites of the drug. This means the hair drug test may still pick up drug use. An alternative to hair testing in this situation is to use fingernail or toenail testing, which is also able to detect drug use dating back 3-6 months.